Baldwin Hardware was founded in 1946 by Severin Fayerman who the Carter family was privileged to know. Even though they originally were not in the business of manufacturing what we know today as decorative architectural hardware they evolved into what became the market leader in this category. They led the industry away from sand cast product into drop-forged product, which resulted in products with fewer surface imperfections and the ability to obtain a far better appearance. 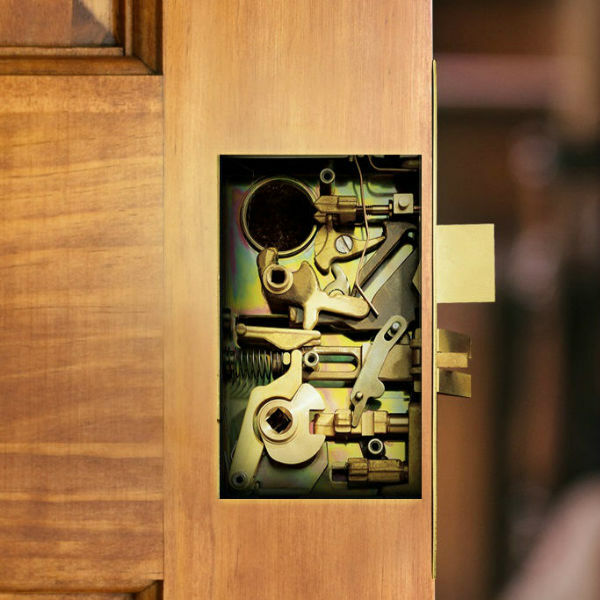 Baldwin’s mortise lock is world renowned for quality and security. All lock cases are constructed of heavy gauge steel plated with a rust resistant coating to retard oxidation. On special order Carter hardware can obtain specially made non-ferrous solid stainless lock cases for use near the ocean as well as special backsets for narrow or large conditions. Working parts are made of solid forded brass, precisely machined for maximum strength and a lifetime of smooth operation. The deadbolt is reinforced with two hardened steel roller inserts for maximum protection and security.